It was 11 o'clock one Epcot morning, and World Showcase had just opened. My brother and I were headed straight for Norway - it was early December, and I was hoping to meet the princesses of the new movie Frozen, Anna and Elsa. I hadn't read much about the meet and greet - I did check the times guide to find the first one of the day was at 11 o'clock. When we rolled up to Norway, there was a line formed in front of the Stave Church. I figured it must be for the Frozen girls, so we jumped in it. This is an old photo - the line was stretched where that guy was standing and the lady is sitting. 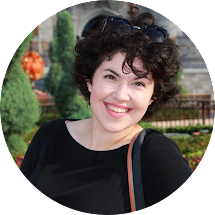 This Disney Snob is no fool - I would never join a line without confirming how long it was. 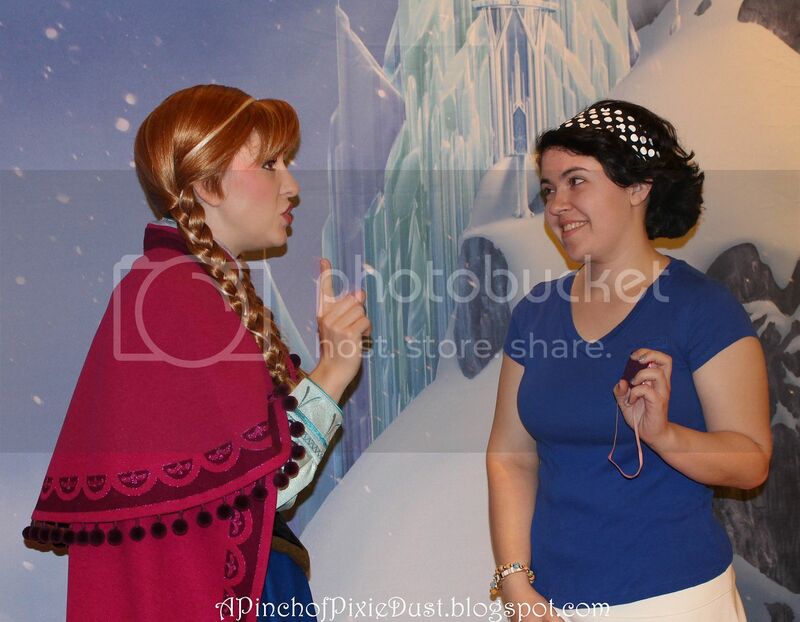 As I approached the cast member, I heard her telling another guest that this line was for the 1:00pm meet and greet with the princesses. I almost couldn't believe my ears. It was eleven o'clock. The first meet and greet had just started. And this was for ONE o'clock?? That was already a TWO hour line! Only then did I see that the line extended far past the stave church, winding around up past Kringla towards the waterfuall. 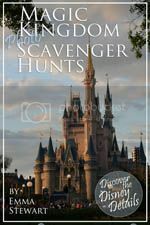 I consulted with the CM just to check - she said that people had arrived for the new princesses at 9AM, and that they expected the line to only get longer later in the day. 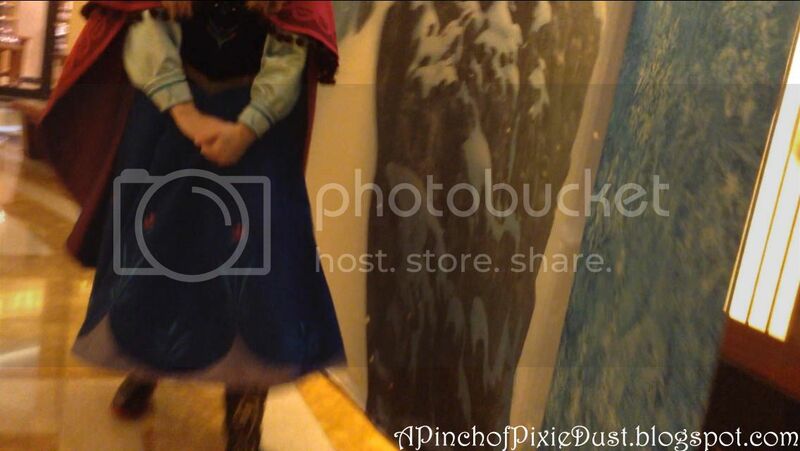 When we got home from that trip, I starting hearing more and more about how insane the Frozen line was getting. Instead of running for Soarin' at rope drop, people were dashing straight to Norway. There was a thread on the DISboardst claiming a FIVE HOUR wait - it was over the holidays when the parks are already jammed but STILL. 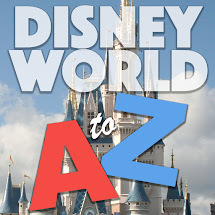 I really don't understand why Disney hasn't opened a second line, that is just nuts. 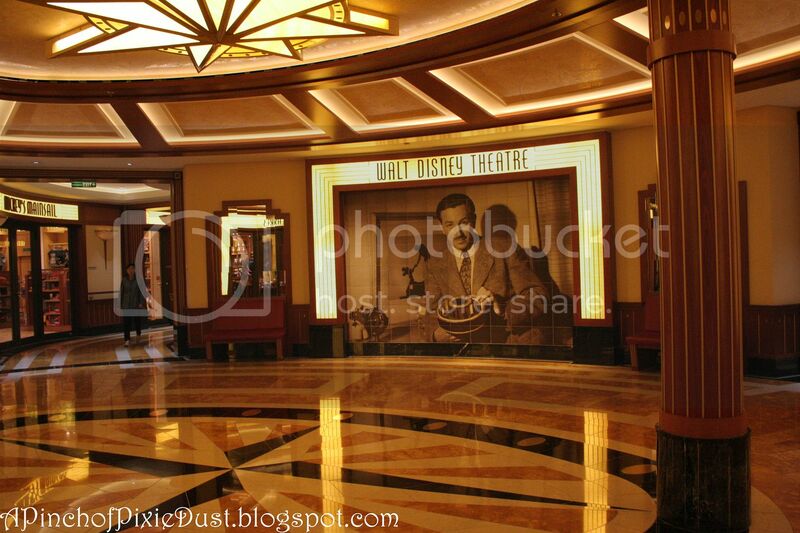 Fast forward to a month later - early January - and our trip on the Disney Cruise line. 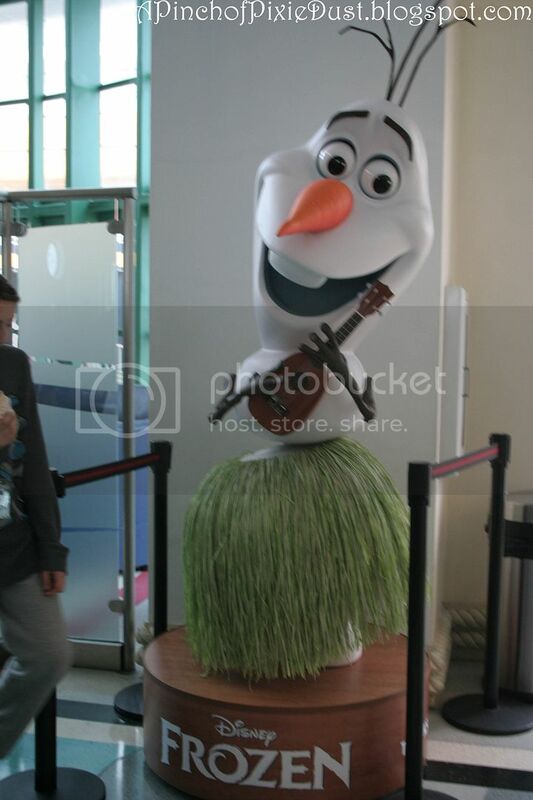 We found a hula Olaf in the cruise terminal, and there was more Frozen fun to come. 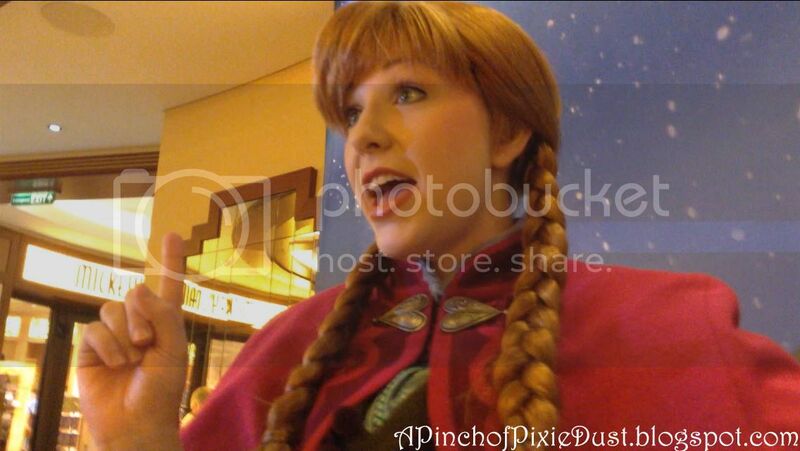 There are plenty of characters that come out on the cruise ship, and I was SO delighted when I saw that PRINCESS ANNA was one of them!! Anna was out at 9:30, and I got there at 9:20 and found only four or five families already in line. That's a heck of a lot better than forty or fifty families! It was funny to hear the cruise cast members talking about how "crazy" the line was getting. I was just like: DO YOU KNOW HOW LONG THIS LINE IS AT EPCOT??? 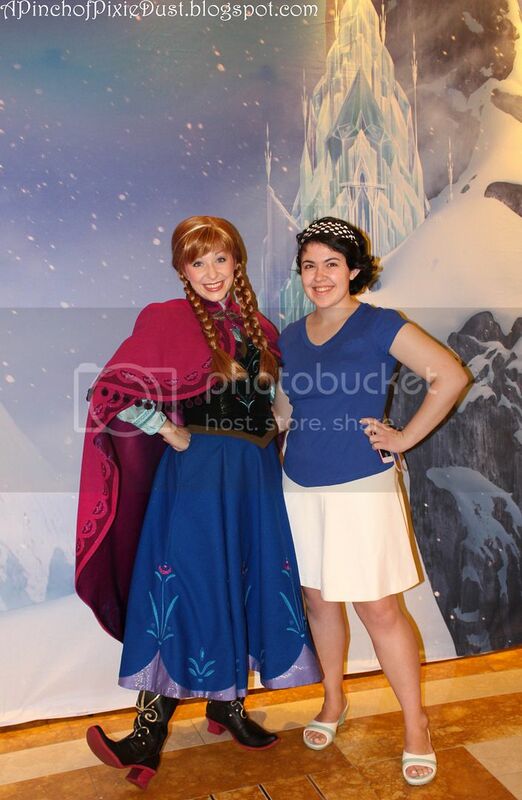 We waited fifteen minutes to meet Princess Anna. Not five hours. Not two hours. Not one hour. I'd call that a win. 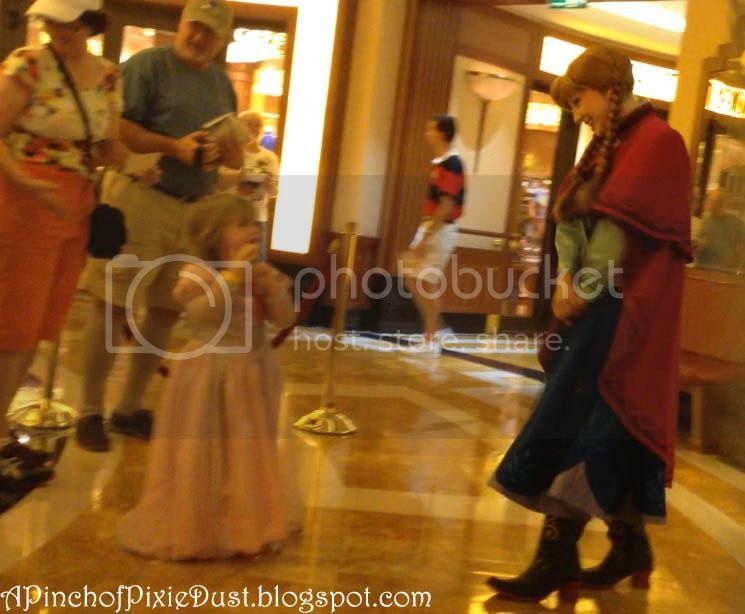 It's always fun to watch the princesses interact with the tiny princesses. 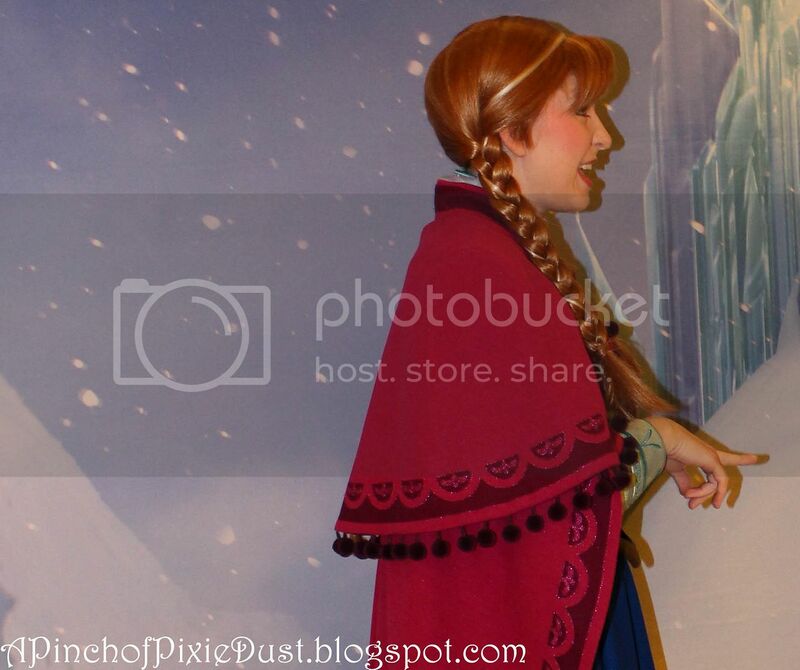 The little girl in front of us did not want to say goodbye to Anna! 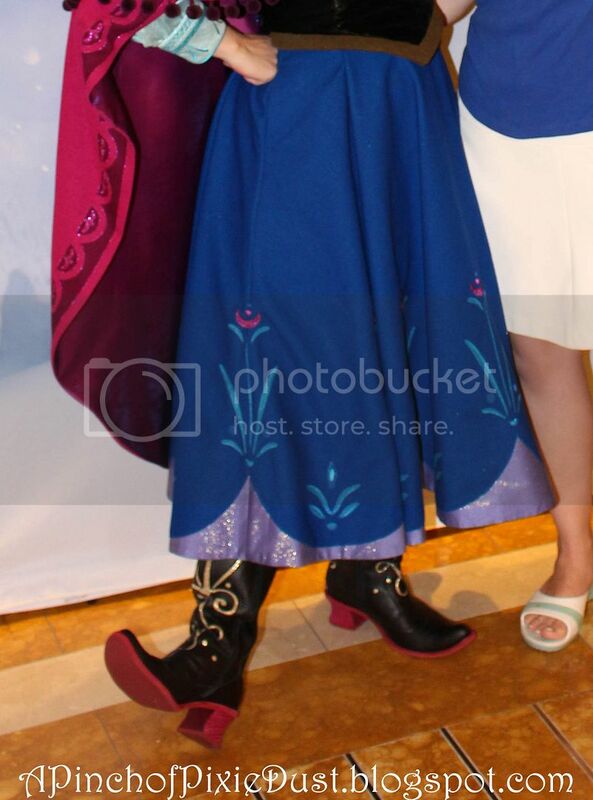 Guys, I am totally in love with Anna's outfit. Look at the little pom pom's on her cloak! And her BOOTS. I totally want boots like that. 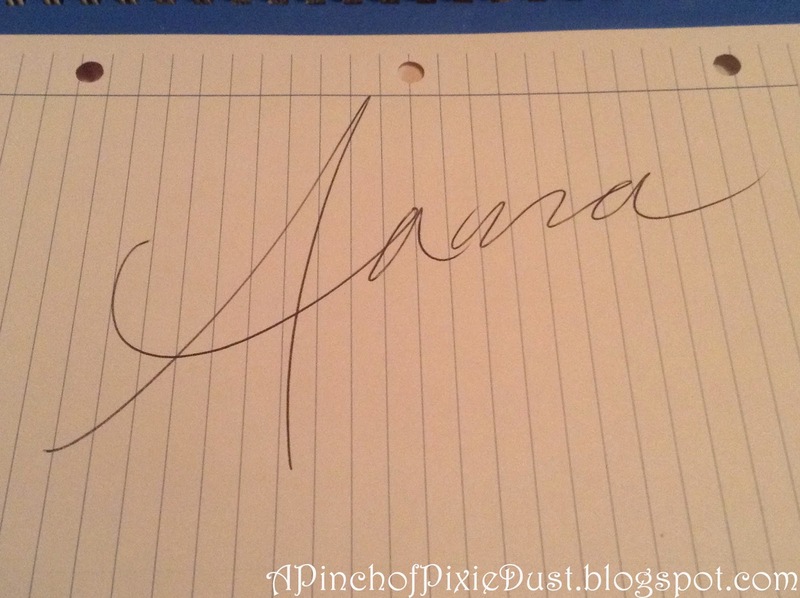 As a connoisseur of Princess handwriting, I of course had to get Anna's autograph - very pretty! 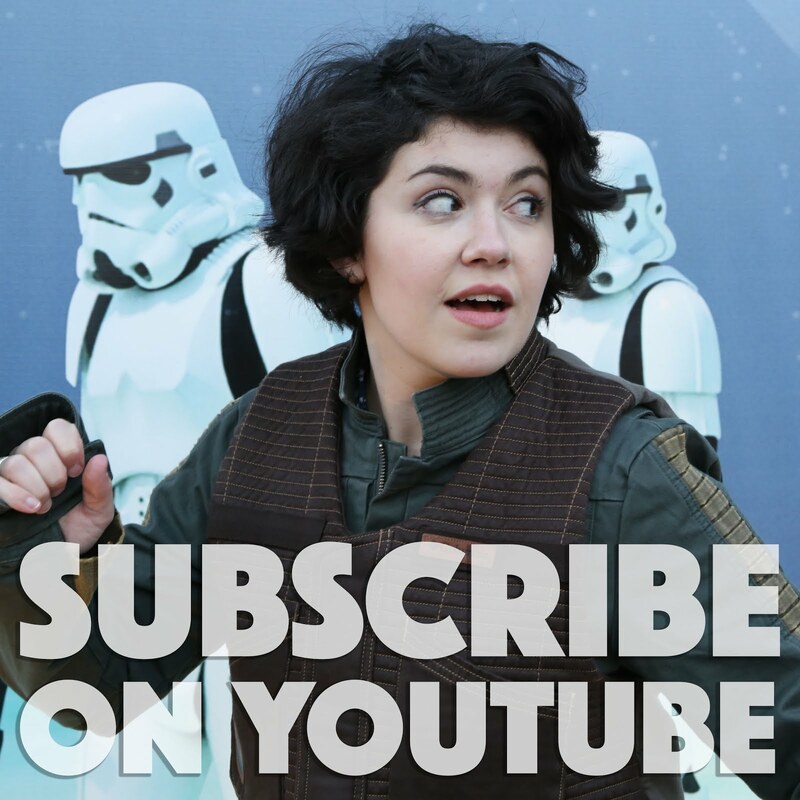 I loved how they transformed the Preludes area with a cool Frozen backdrop for the photo! 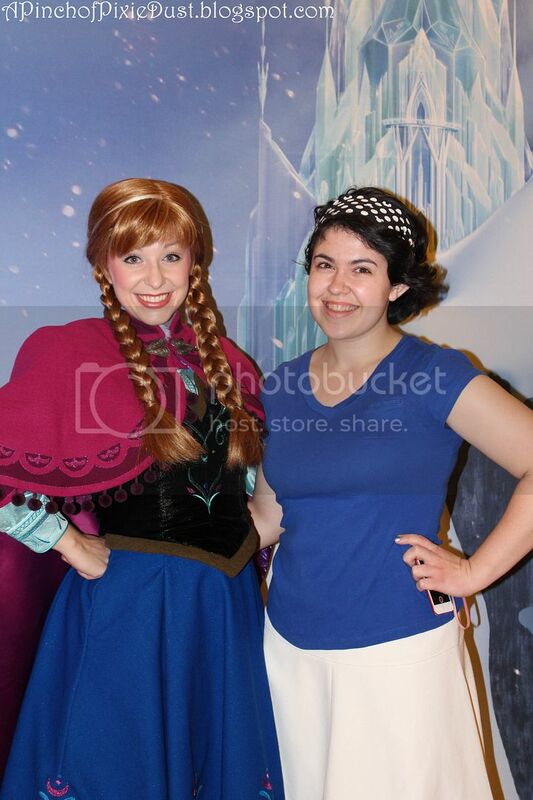 Have you guys met Anna or Elsa yet?? How long would you be willing to wait? Adorbs! /now I hope they're on the Wonder in May!